040407, originally uploaded by Craig Grobler. 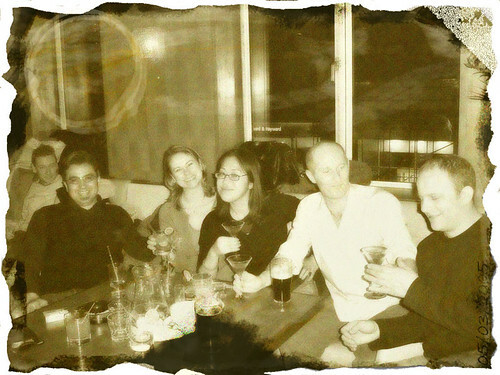 This pic was taken at a team get together at Keston Lodge, Upper Street - March 2005. It did not seem that long ago. I found out today that I'm shortly to be the last remaining original team member. I was first in and certainly did not expect to be around past my original colleagues. Anyway here’s to you Lisa, Adam and Vic. Hope that you go from strength to strength.